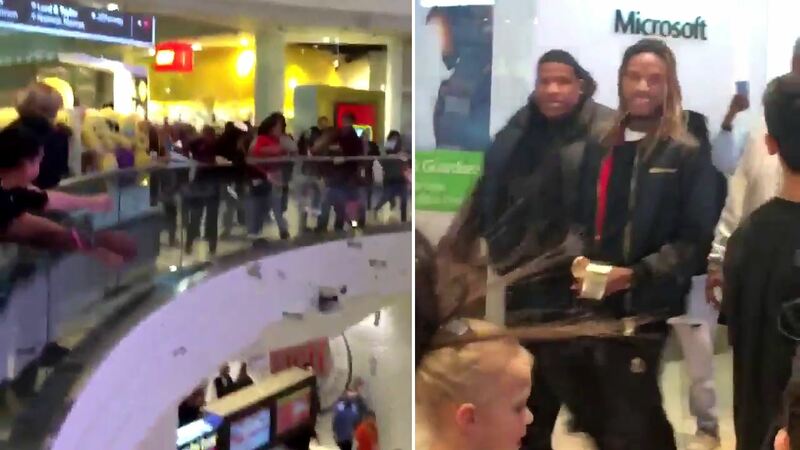 PARAMUS, N.J. -- Rapper Fetty Wap gave away thousands of dollars at a mall in New Jersey over the weekend, triggering screams of happiness from his surprised teen fans. The person who shot the video, Allison (Twitter: @allisonmayo1234), later posted on Twitter that she was able to collect some of the cash. Fetty Wap, whose real name is Willie Maxwell II, is from Paterson, New Jersey.